Stonewashed denim apron is 28" long, has 3 roomy pockets, extra-long waist ties and an adjustable extra-wide neck strap for comfort. 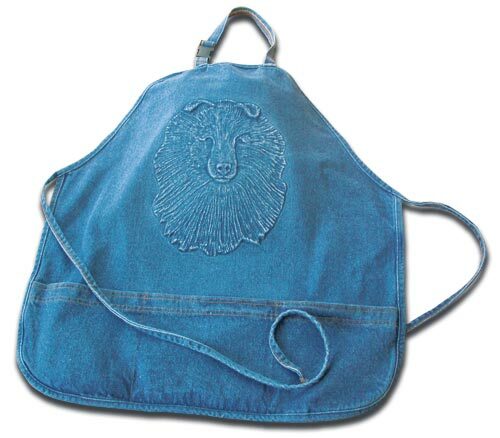 Embossing makes this apron extra-special to wear for many activities like training, grooming, or cooking. Machine wash & dry.